Paris Saint-Germain forward Neymar managed to keep up his impressive attendance record at his sister’s birthday parties after another well-timed injury allowed him to go for a fourth year in a row. The £198million man is back in his native Brazil following surgery on a fractured metatarsal in his right foot, which he suffered last month against Marseille and is expected to keep him out for the rest of the season. He shared a photo of himself and his sister, Rafaella Santos, on Instagram and wished her a happy 22nd birthday. She later shared an image of the pair hugging at her party, which was accompanied with an emotional tribute to her big brother. Although Neymar would undoubtedly rather be back in Europe playing for PSG, a few conspiracy theorists on social media have noticed a trend associated with his sister’s birthday, which falls on March 11. Neymar has been able to attend her last four birthdays because he has twice been suspended and twice been injured for the big day. 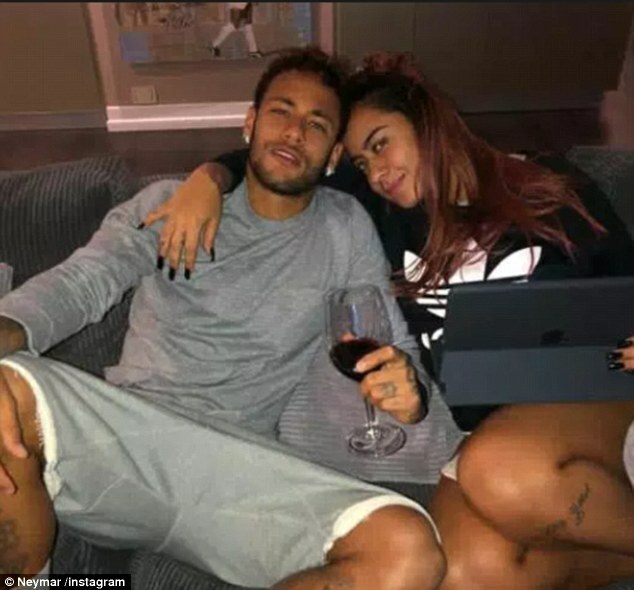 As he shares a close relationship with his sibling — he has a tattoo of her image in his arm — some fans have theorised that Neymar is somehow orchestrating his unavailability to coincide with her birthday. In 2014-15, Neymar picked up his fifth booking of the season against Granada on February 28, meaning he was suspended for Barcelona’s next match on March 8. The same incident occurred the following season as got his fifth yellow against Rayo Vallecano on March 3. 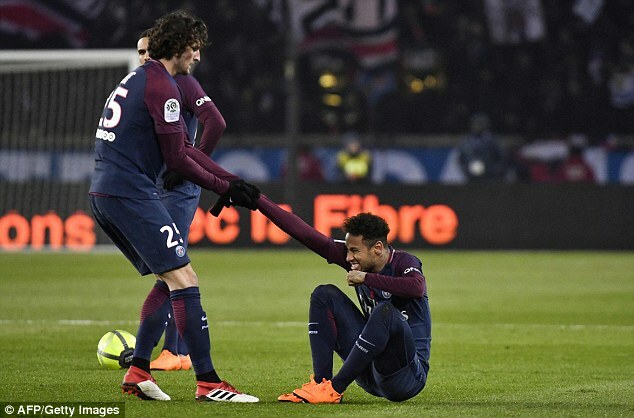 Last term, Neymar suffered a mild injury in the stunning Champions League comeback against PSG. On all three occasions, Barcelona allowed him to travel to Brazil. It has become something of a running joke in Spanish football and Real Madrid captain Sergio Ramos paid homage to the theory when asked if he would like to see Neymar at the Bernabeu. Speaking to Cadena SER last November, Ramos said: ‘I like to play with the best and Neymar is one of them, I hope.